Downsizing? That’s so 2016. Housing trends and consumer research indicate a move toward upsizing as homeowners transition to larger dwellings. For Rhiannon Kruse, moving to a bigger home was about facing the music. For five years, Kruse and her husband had squeezed themselves into a downtown Seattle high-rise. At 700 square feet, their home meant giving up a dresser to cram clothing into an under-the-bed storage space, and limiting the number of guests they could invite over for dinner. Even Kruse’s parents had to stay in a hotel after making the six-hour drive from Oregon to visit; there just wasn’t enough space for overnight guests. But for the duo, both professional entertainers, the final straw may have been the makeshift recording studio they crammed into a tiny desk space, wedged between the bed and the window. It just wasn’t practical for a couple that make their living as piano players, Kruse says. So when Kruse’s husband broached the idea of moving into a much larger house just outside the city limits, it took a little bit of convincing — but not much. The couple fell in love with a 2,700-square-foot new construction home about 15 miles north of the heart of the city. They also fell in love with the idea of having a place to put a piano — an actualpiano. 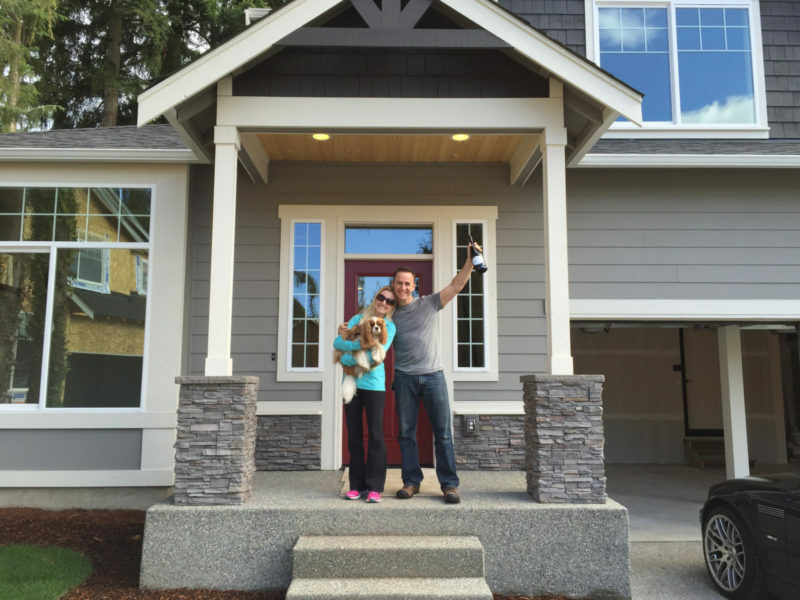 Rhiannon Kruse and Jeff Coleron in front of their home on the day they moved in. Photo courtesy Rhiannon Kruse. The couple’s story may not seem like much of an anomaly these days. They’re part of an uptick in upsizing: More homeowners are opting for a bigger home and larger price tag, skipping the traditional starter home altogether. Millennials are especially part of this movement, according to Zillow research. What’s more? A new analysis of census data shows that the median square footage of new homes is up 20 percent since 2000, from about 2,000 square feet to about 2,500 square feet. Popular reality and scripted TV shows often depict larger homes as the norm. The abundance of larger homes in popular entertainment isn’t by accident. Home design shows are rooting their programming in extensive research, says Julie Link, director of research and consumer insights for Scripps Networks, which owns HGTV, the Food Network, and others. The company recently conducted an in-depth, comprehensive study they called Dynamics Shaping the Future of Home. 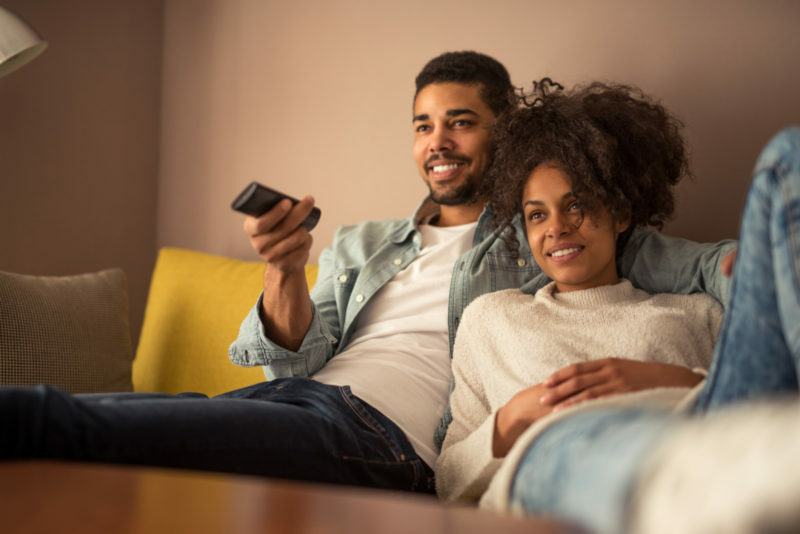 The study’s goal was to better understand what is going on in the lives and in the homes of Scripps Networks’ audience in order to cater programming to them. The network asked consumers to complete video journals, diary entries, collages, and even Pinterest boards. The results? Both surprising — and not. Younger consumers (adults between 25 and 39 years old) are beginning to prioritize space, the study found. 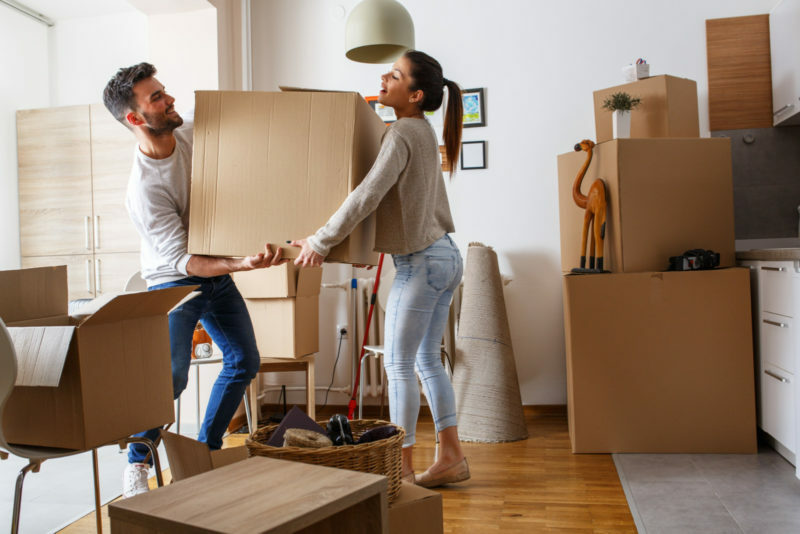 Fifty-six percent of millennials said that having a large home is important to them, compared with 42 percent of Gen Xers and just 35 percent of baby boomers. As millennials move into larger homes, they often delay buying new furniture and decorative pieces until they find just the right item. 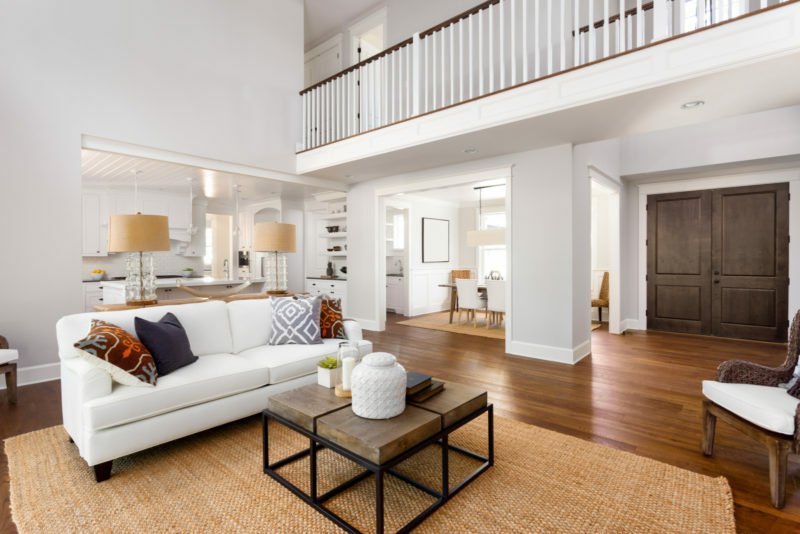 Once young homeowners find the perfect space, many are biding their time until they find items that are multi-functional and carry meaning, Link continued. They might wait to fill an empty wall until, say, they can frame Instagram photos from a favorite trip, or afford to purchase a high-tech yoga mat that can also double as an elegant carpet. Open floor plans’ popularity derives from the flexibility they provide homeowners. Two years after upsizing from 700 square feet into her 4-bedroom, 3-bathroom home, space is still a novel idea to Kruse — and one she doesn’t take for granted. She mentions the give-and-take of their old, cramped quarters: How, when she lived in the small condo, if she bought a shirt, she’d have to get rid of an old one. A new pair of shoes meant donating a worn-out pair to charity. It was a dance of space. Most importantly, her new 2,700-square-foot home — with backyard raspberry bushes, fire pit, and private recording space — just brings her peace, she says.